A convicted arsonist and burglar is now accused of stealing a woman's phone from a Boystown bar, court records show. Robert Rapp, 54, is charged with one count of theft of lost or mislaid property in connection with the August 15 incident at Town Hall Pub. According to a witness, a bartender followed Rapp out of the bar and east on Roscoe Street until police were able to catch up with them and make an arrest. Cops say they found the victim's iPhone in Rapp's possession--a circumstance that Rapp was allegedly unable to explain to the officers' satisfaction. Last month, Rapp was accused of punching an employee of the Chipotle at Diversey and Broadway. Those charges were dropped when the victim failed to show up in court. 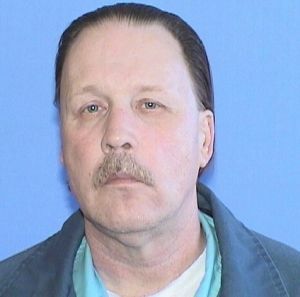 Rapp, who lists a home address in the 500 block of Wellington, was paroled last December after serving two years of an attempt burglary sentence. His previous convictions include a 30-month sentence for theft in 2010, a one year sentence for shoplifting in 2009, and 11 years for aggravated arson and residential arson in 2001.